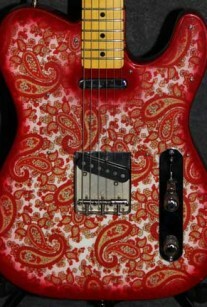 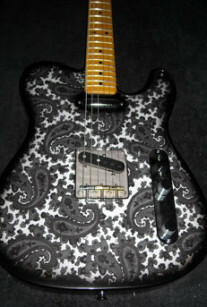 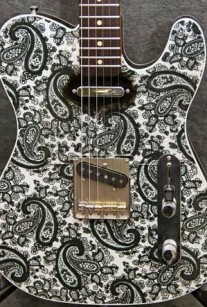 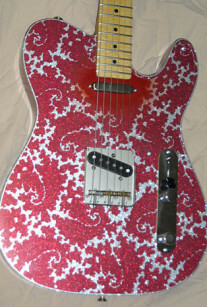 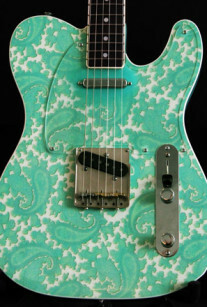 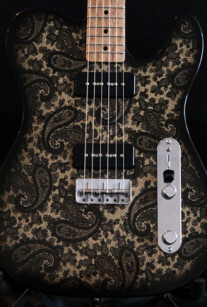 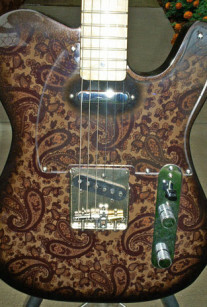 So how did I get started building paisley guitars? 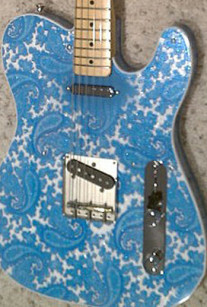 When Brad Paisley signed his first record deal and started touring, he asked me to build a backup guitar that played and sounded like his beloved vintage ’68 paisley, but in blue. 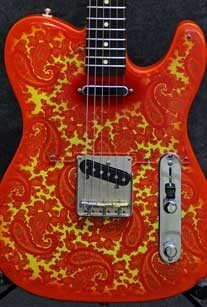 I agreed to do it, not knowing the hurdles and failed experiments that lay ahead of me. 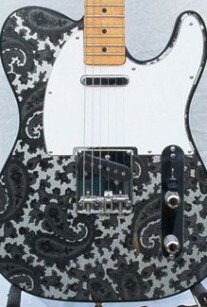 I watched the ink run off the paper, the solvent melt the paper, and the finish crack for no reason, but finally I came up with a technique that worked. 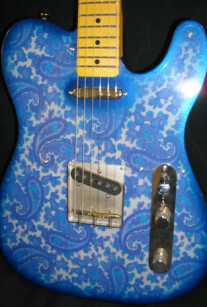 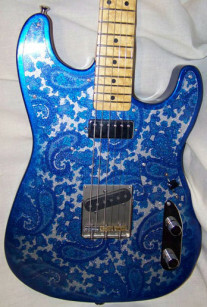 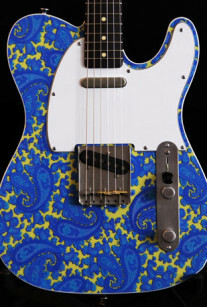 The blue paisley debuted in Brad’s 2002 “I’m Gonna Miss Her” video, and I thought that was the end of my experimentation with paisley finishes. 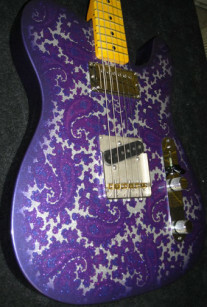 I didn’t see it coming! 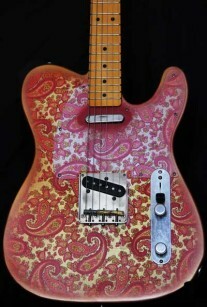 Besides the vintage pink paisley, you can choose from the modern paisley finishes below that I’m offering at this time. 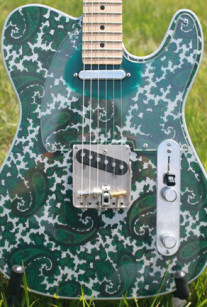 Please note actual colors may differ from your screen’s color settings.